Job Summary: To drive the successful transformation of the business in becoming a world-class sourcing organization by providing technical garment/apparel expertise and recommendations to vendors/factories and internal sourcing teams. To develop and drive the implementation of new apparel technical programs across the region. To effectively lead a team of remote Quality Assurance Auditors in conducting inspections and training with vendors/factories. 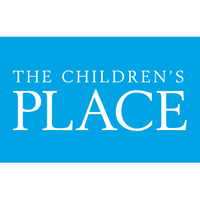 The Children’s Place is the largest pure-play children’s specialty apparel retailer in North America. The Company designs, contracts to manufacture, sells and licenses to sell fashionable, high-quality merchandise at value prices. As of January 28, 2017, the Company operated 1,039 stores in the United States, Canada and Puerto Rico, an online store at www.childrensplace.com, and had 150 international points of distribution open and operated by its 6 franchise partners in 17 countries.